Home > Printable Coupons > Top Printable Coupons | Dr. Praeger’s, Zest, Ore-Ida Coupon & More! 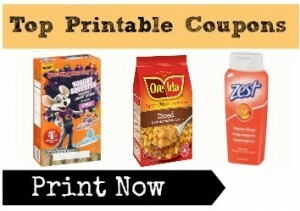 Top Printable Coupons | Dr. Praeger’s, Zest, Ore-Ida Coupon & More! Here are the end of the week printables I want to share with ya’ll! The hot Ore-Ida coupon would help make for a fun weekend breakfast. Print your copies below under zip 30003 unless noted. See Friday’s newsletter for a complete list of savings!